I can't find the black cartridge 'ML1630 E' on your site. Could you please let me know where I could purchase it and, if possible, I would prefer a cheaper compatible unit? My printer is a Samsung SCX-4500W. Thanks in advance for your kind co-operation. Provided the printer was purchased in the UK, the cartridge we recommend is the genuine black Samsung ML-D1630A toner. 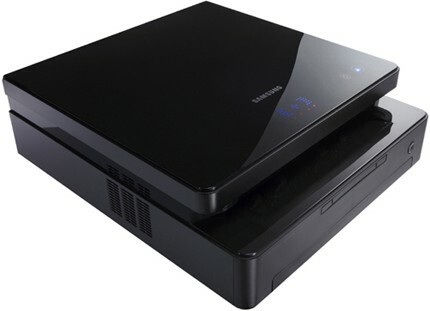 The Samsung ML-1630 is a stylish, quiet printer which will give you results in a short time and the Samsung ML1630 can be placed anywhere in the office or home. Made for convenience, the ML1630 ensures that printing is easy and trouble free…but constant use of the Samsung ML-1630 can become expensive, especially if you have to replace your black Samsung ML 1630 toner cartridge. Fortunately, our cheap Samsung ML-1630 toner prices help you save money-just compare our cheap Samsung ML1630 cartridges with other Samsung ML-1630 store prices to find out. If you want a great deal on ML 1630 toner, browse CartridgeSAVE and find the best! We’ll meet your Samsung ML-1630 toner needs and ensure that you get your Samsung ML-1630 toner cartridge with the best possible service. We send every Samsung ML-1630 cartridge off with free delivery in order to help you save. Ordering the Samsung ML1630 toner is quick and easy thanks to our secure server and we want you to be confident when purchasing the ML-1630 toner from us, which is why we send the Samsung ML 1630 cartridge off with an ironclad money back guarantee-so you know you’ll receive a quality Samsung ML-1630 cartridge or you get your money back. Samsung markets the monochrome ML-1630 as a personal laser printer, and this is a promise that the model lives up to well. The ML-1630 is small, compact, slim and attractive. It's also durable, offers diverse functionality, and it creates extremely high-quality text prints at 1,200 x 600 dpi at a rate of 17 pages per minute. Samsung also delivers on the promise of silent operation: it consistently delivers a sound level less than 45 db. The unit works out of the box with Windows, Mac and Linux systems, and Cartridge Save delivers premium Samsung ML-1630 toner cartridges at a competitive price. For the ML-1630, Samsung has opted for a basic, all-black design. It's a flatbed style with a lid, but it doesn't take up a great deal of space, so you shouldn't have trouble setting it on a reasonably sized computer desk. The ML-1630 is also as light as it appears, and that makes it an excellent option for the person who needs to take their printer with them at times. Coupled with the silent operation and the low-cost Samsung ML-1630 toner consumables, the printer is an excellent option for the student living in a dorm or for a small office. The compact design does make cartridge installation a little tricky. There's a lot to like about the Samsung ML-1630. In a marketplace filled with underperformers, the ML-1630 simply delivers. It is compact and light, and it prints extremely fast for this price class without sacrificing text quality. This unit also handles black and white graphics quite well; they're good enough for creating newsletters with a professional finish. Samsung also prices the unit quite aggressively. When you see prices this low, you might expect a bait-and-switch scenario where the consumables are overpriced. But that isn't the case here. Each Samsung ML-1630 toner yields 2,000 pages at rates comparable with the competition. The biggest disadvantage of the Samsung ML-1630 is that it doesn't print colour. At this price range, most home computer users are looking at a colour laser printer. In the defence of the Samsung ML-1630, you're not likely to find better quality in terms of text at this price. But many consumers are willing to sacrifice text quality in order to print colour. Another issue is that the compact design doesn't work internally as well as it does externally. The toner cartridge can be a challenge to install, but fortunately, you won't have to do it often. Another problem with the internal design is that paper jams are not as easy to fix as they should be, but again, these don't occur often.